B2B marketers face a bazillion challenges every day, but all these boil down to four main issues: getting in front of the right decision makers, connecting with decision makers at the right time, leveraging the right channels to reach the target audience, and crafting the right message. To meet these challenges head on, marketers need to develop and execute a robust targeted marketing strategy. 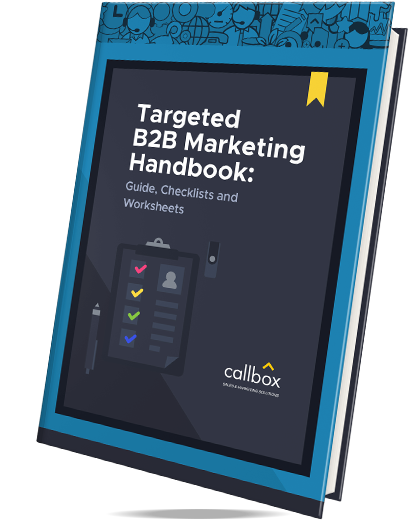 This is where Callbox’s new downloadable eBook Targeted B2B Marketing Handbook can help. Fill out the form and get your copy of the Targeted B2B Marketing Handbook today.